Long before a storm breaks, an eagle can tell that it’s coming. This grand bird will soar to a spot high above and await the winds of the storm. As the turbulence hit, the eagle sets its wings just so, allowing the wind to pick it up and be lifted above the storm. Below a tempest is raging, while a strong, confident eagle is soaring above. The storm is not escaped nor avoided. Instead, the eagle uses the storm to reach a greater height, rising on the very winds that compose the blast. No matter what kinds of gusts arise in the storms of life, the Lord has promised to renew our strength when we choose to put our trust in Him. He gives our spirits wings that lift us to greater heights of understanding, so that we are assured of His power and of His ability to carry us while the storm rages. Greeting Card Design: CON-Eagle – click here to view in the Kat Kreations online katalog. NOTE: The watermark only appears in the online version of the image in order to aid in protecting copyright. Greeting cards and art prints do not have the watermark. 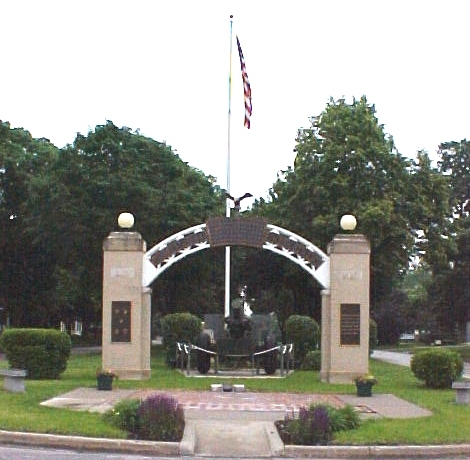 This subject of this photo is the top part of the rebuilt war memorial arch in Williamsville, IL. 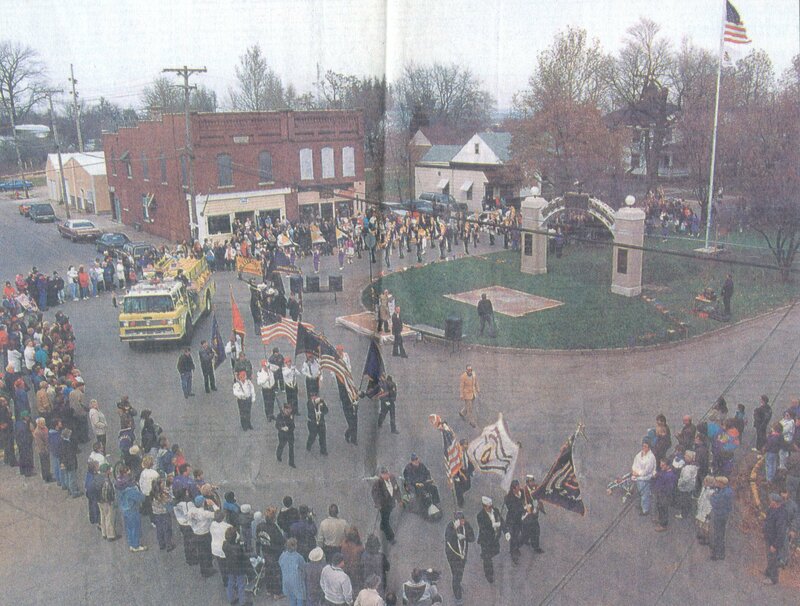 The previous arch had been torn down decades before the town’s community foundation led the project to rebuild the arch in 1993. Below are other photos and images associated with the arch as well as a small part that Kat was able to play in that project. 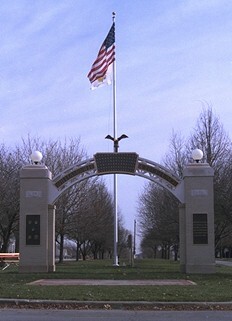 Completed arch on the boulevard in Williamsville, IL. 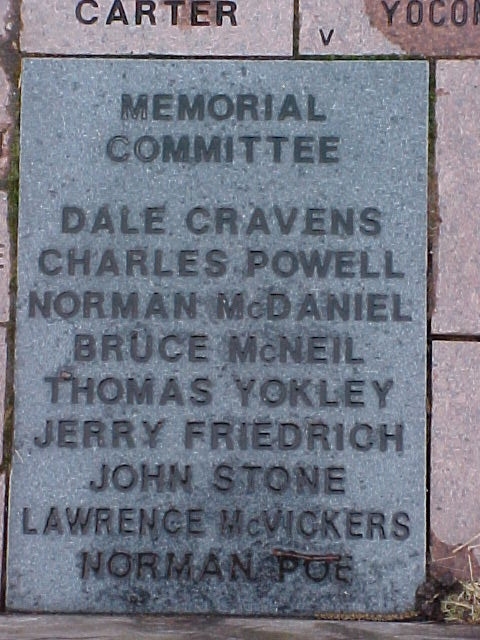 Photo taken 1998. 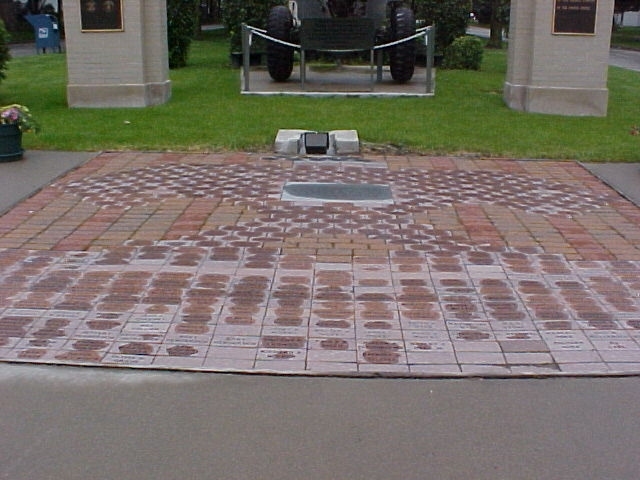 Patio below the arch contains bricks that were purchased by donors and engraved with their names, the names of those killed in action, or names of loved ones. 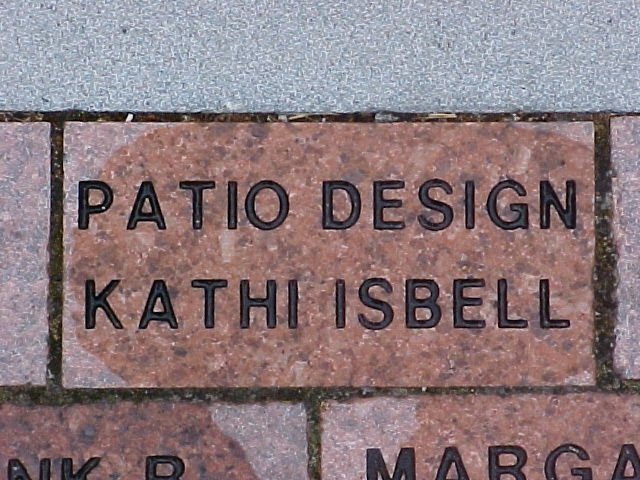 The design Kat submitted was chosen for the arrangement of the bricks. Several town residents helped organize the project and participated in the building as well. 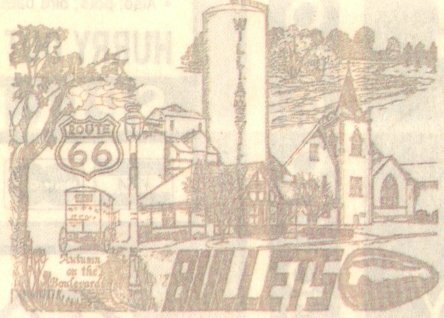 The line art collage on the envelope included images associated with Williamsville and was drawn by Kat for the commemorative envelope. 2003 photo of the arch with its landscaping, cannon, and such. This entry was posted in Devotionals, Lens Looks and tagged camera lens, Christ follower, Christmas, devos, devotional, devotional thoughts, faith, Father God, inspiration, Jesus, Jesus follower, Jesus' birth, oil painting, oil paintings, oils, Paint by Dot, photo, photography, photos, pictures.